I read a lot of books, and am often asked for recommendations. The selections found on this page are books that are germane to my work or conversations I’m in, have piqued my interest, or are just great reads. What you’ll find here are my top picks in the areas of neuroscience, biology, change, philosophy, leadership and business. This list will change frequently, so be sure to check back. – Janet Crawford. Many leadership books present models for thinking and speaking, but very few address the role of the body in leading effectively. 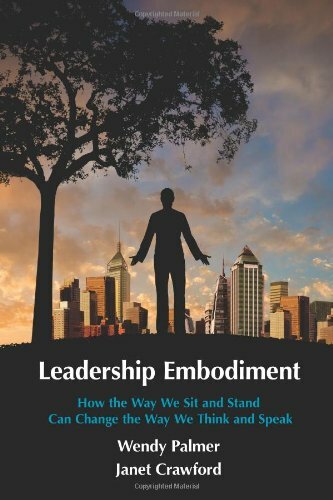 Leadership Embodiment delivers a practical user’s guide for embodied leadership, enabling practitioners to project an expansive leadership presence, create an inclusive atmosphere for collaboration and team work, listen from a place of open curiosity, and stand their ground in the face of pressure. Leadership Embodiment techniques are based on principles from the non-aggressive martial art of Aikido, mindfulness practices, and posture awareness. They are designed to mitigate the impact of the stress and intensity inherent in leadership and daily life. In part one of the book, Wendy Palmer offers simple postural practices that broaden our perspective, enhance interconnection and build confidence. In part two, Janet Crawford pulls from cutting edge research in neuroscience and evolutionary biology to offer a biological explanation for the efficacy of the Leadership Embodiment techniques. 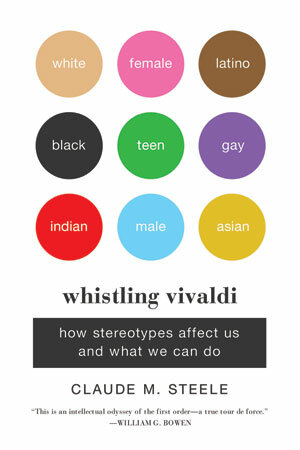 Renowned social scientist, Claude M. Steele, offers a vivid first-person account of his groundbreaking research on stereotypes and identity. He sheds new light on American social phenomena from racial and gender gaps in test scores to the belief in the superior athletic prowess of black men, and lays out plan for mitigating these “stereotype threats” and reshaping American identities. Pioneers in the study of implicit bias, Professors Mahzarin Banaji and Anthony Greenwald explore the hidden biases we all carry from of a lifetime of exposure to cultural attitudes about age, gender, race, ethnicity, religion, social class, sexuality, disability status, and nationality. How do you replicate the innovative genius that existed in the early days Silicon Valley? 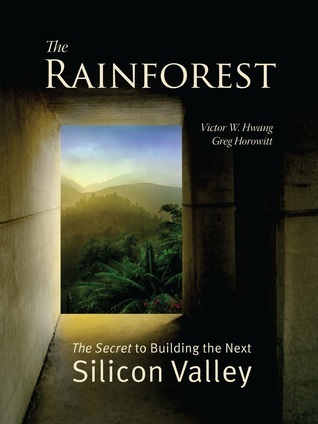 Using the metaphor of the rainforest, a place where rapid, chaotic intermixing of species and conditions produce a stunning array of biological diversity, Victor Hwang and Greg Horowitt explore parallels to human innovation. Traditional business school wisdom posits that creating hubs of innovation requires a geographic confluence of infrastructure (from roads to favorable tax codes), institutions (universities, pre-existing businesses and corporations,), expertise (law, finance, technology, business, science, etc.) and capital. The reality, though, is that these conditions exist in many locations where innovation has failed to flourish. Missing ingredients in the standard recipe, posit Hwang and Horowitt, include diversity, collaboration, willingness to fail, and a commitment to building “tribes of trust.” I had the privilege of working with the authors in bringing neuroscience insights into the mix, alongside information from an impressive array of other disciplines, including psychology, sociology, sociobiology, anthropology, and legal theory. Washington Post science journalist Vedantam theorizes that there’s a hidden world in our heads filled with unconscious biases that manipulate our attitudes and actions without our knowing it. Sapolsky, a Stanford University neuroscientist, explores the role of stress in human ailments such as heart disease, diabetes, and memory loss, tracing it to our species’ unique ability to project into the future and worry about the far off outcomes of current threats. Cozolino provides a thorough treatment of how our individual social and emotional personality patterns emerge through the relationships we have with our caregivers and community. This book goes beyond the nature and nurture divisions that traditionally have constrained much of our thinking about development, exploring the role of interpersonal relationships in forging key connections in the brain. Doidge explores the frontiers of neuroplasticity, the brain’s ability to re-wire itself through experience. Challenging the old orthodoxy that brain development stops after childhood, he explores the many ways that our brains continue to develop and change well into old age. In On Being Certain, neurologist Robert Burton shows that feeling certain—feeling that we know something— is a mental sensation, rather than evidence of fact. An increasing body of evidence suggests that feelings such as certainty stem from primitive areas of the brain and are independent of active, conscious reflection and reasoning. New research in brain function has proven that love is a human necessity; its absence damages not only individuals, but our whole society. In this stimulating work, psychiatrists Lewis, Amini and Lannon explain how and why our brains have evolved to require consistent bonding and nurturing. Bennett-Goleman’s work explores the deep-seated and unconscious emotional habits we form in early childhood, which left unaddressed hold us in their grip throughout our lives. She offers concrete practices grounded in mindfulness to gain awareness and new more functional choices. Medina presents 12 simple, well-supported and easily understood rules for optimizing our brain function at work, home and school. Blink is about the instantaneous judgments we make before our conscious logical mind kicks into action. Gladwell explores what produces these intuitive “hits” and what accounts for their accuracy…or lack thereof. See our full recommended reading list here.